Most of us have heard about the National Geographic society, either in the form of their TV channels or the magazine or the society itself. The National Geographic Society was thought up in 1888 by a group of great thinkers and rich supporters as a way to spread geographical knowledge around the world. 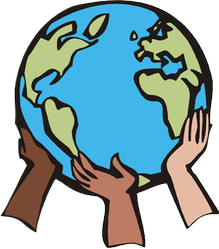 Its aim as stated more recently by its chairman, John M Fahey, is to inspire us to take care of our world. A lofty goal indeed. Most of us have leafed through the pages of a National Geographic at some point or the other and even though we may not be that interested in the words, taking a look at the pictures of our world is definitely inspiring. Why would we not want this for our children? If we start them young, what an impact that could have. Exposing our children to as many experiences as possible is a desire of many parents but sometimes being able to afford travelling to a range of places is outside the reach of regular parents. Also, if we are trying to save our planet, flying all over the place is not doing much for it! National Geographic for Kids gives us all the ability to show off various countries and their inhabitants. This enables our children to have a better understanding of their place in the world. Some people can grow up thinking their home town is the only place that counts but as we now live in such a multi-cultural world, learning about different cultures and their views as well as the climates in which they live, the animals around them and more is an education no child should be without. The National Geographic does this in an interesting way and engages children through all its pages. It talks about animals and provides animal pictures, articles on science, technology, archaeology, geography, and pop culture, plus jokes, games, activities in every issue. It is appropriate for any children from the age of six. A great magazine indeed. The negative thing about this is the presence of a large number of adverts and product placement. This is not great if you do not like to expose your child to everything some marketer wants to put on your children. However, despite this, the articles are informative and really do expose the children to a great amount fo information appropriate to the age range. And fairly recently, a magazine has been released by the National Geographic Society for even littler ones than the six year olds. A winner of the Parent's choice Award in 2011, this one is appropriate from the age of three. Using crafts and creative stories, it grabs the imaginations of our little ones and teaches them all about the world around them. When you are little, you are convinced the world revolves around you, reading this magazine together with a parent and taking part in all the activities will start to inform preschoolers that there is a lot more out there than they can see. No adverts usually and six issues a year. A very engaging magazine for such young children. Reading together with your children is a wonderful gift to them and also an awesome activity to do with them. However, some children learn visually as well. National Geographic has produced a few great DVDs based on the wonderful characters of Toot & Puddle - two lovely pigs as they wander the planet. Also, there is a whole range of 'Really wild animals' DVD sets. These are set in various places on the planet and are exciting enough to hold the attention of any child from the age of 2/3 upwards. They are very educational and yet so much fun. Expect your child to become familiar with the sight of anuimals and their names as they watch these series over and over. The National Geographic Society set out a lofty goal at the beginning in 1888 and have tried to live up to the standards they set for themselves. By including children, they are extending their reach in such a way as to increase the knowledge the next generation possess. Getting a magazine subscription for kids you know will definitely help their education and assimilation into the world in which we live. 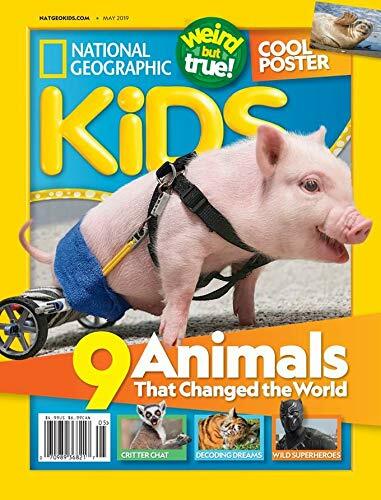 What do you think of the National Geographic and the items it produces for our children?